A Teesside delicacy has been flying off the shelves of a supermarket and may now go on sale around the country. Asda is selling 6,000 chicken Parmos a week at seven stores on Teesside and said it is currently its fastest selling local line. Parmos are chicken or pork fillets which are covered in breadcrumbs and then fried. Bechamel sauce and a layer of cheese is added and it is grilled. The supermarket said it will now consider selling them further afield. The Parmos are being supplied to Asda by Geoff Johns through his Jeff the Chef company. He said: "When we went into Asda we had no staff. Now we have got 12 or 13 staff. It's just gone really ballistic over the last 12 weeks." The company is supplying chicken Parmos at the moment but has plans to branch out into the pork variety in September. Asda local products manager Paul Dover said: "It has made history down here at Asda. "We are thrilled to bits with it. We are looking for more of these local gems if we can find them. "In our Stockton store for example it's selling more than our garlic baguette, it's selling more than our sausage and mash meal. It's really making a big impression on the ready meal market." 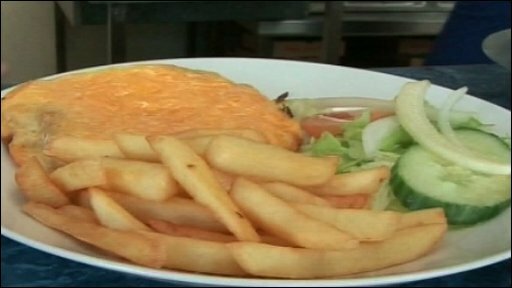 He said they were now looking into whether the Parmos could go on wider sale. He said: "It really would depend on the relevance to the customer and if the chicken Parmo travels well we will put it on the road."